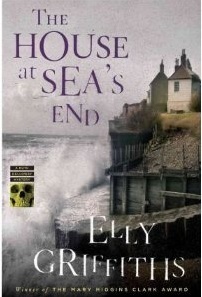 There is something alluring about stories featuring old buildings and 'The House at Sea's End', by Elly Griffiths, is no exception. Here we have a house perched on the edge of a crumbling cliff on the north Norfolk coast, inhabited by three generations of the same family - a family with a secret. This is the third book in the Ruth Galloway series, but I must confess that it is the first one I have read. It was easy to jump straight in and begin mid-sequence, but having read this one, I know I will go back and read the others, because, in short, I liked this book. Ruth, our protagonist, is a 39 year old archaeologist who sometimes takes times away from her usual job lecturing at the university to help the local police with murder investigations. This book begins with the birth of Ruth's daughter Kate, whose father is D.C.I. Harry Nelson - the man whom she works alongside, when solving crimes, who also happens to be a married man. So, in this novel, Ruth, back from maternity leave, is called in to identify some bodies found under rocks when a cliff collapses. The six naked men appear to have been executed, as their hands are bound together and they lie back to back. All of this is very interesting, as it points to a British war crime from the Second World War, but what is even more compelling is the drama unfolding between Ruth and Nelson, as she struggles with being a mother and he struggles with not being a father to their daughter, Kate. Ruth continually assures herself and us, that she is not in love with Nelson, but she isn't kidding anyone. And after one night, when they are trapped together in a snow storm...well... but I will say no more... only, that Griffiths's novel is something like a mixture between Bridget Jones's Diary, Foyle's War and The Inspector Lynley Mysteries... so if such a cocktail seems tempting to you, then you should give this series a try. I realise that all of the comparisons translated well to the silver screen, and so too would this novel, if it has not already done so. Interesting too, is how Griffiths has added an extra dimension to her novel: there is a lovely symmetry to the book, as the author considers the idea of how the eventual location of a missing body in war-time, be it during the Second World War, or the Bosnian Conflict, can mean all the difference to a grieving family. By comparing elements of the two conflicts, the 1940 murders seem more recent and all the more relevant to modern readers. The plot is not overly complicated but does include a higher than usual number of Irish characters, all of whom have a taste for the demon drink; something that is somewhat stereotypical in truth. Still, the characters are interesting and entertaining, none more so than Ruth herself, which is why I recommend this book for a cosy read on a rainy summer's evening, when the house is quiet and you want to settle down to a not-too-taxing murder mystery, with friendly characters and a teasing love triangle to boot. Just sit back and enjoy! Yea! So glad you enjoyed this one. I seriously devoured all these books once I discovered the author. 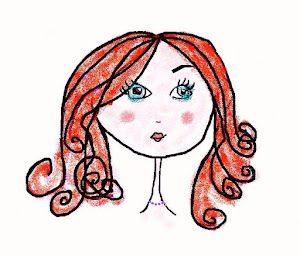 Plus, she has a new one out, but the budget won't allow for a new hardback, and the ebook is pricey. Can't wait to read it, though!